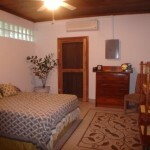 Casa Del Lisa "Our Belize Vacation" - "Our Belize Vacation"
Spacious beach house (with two floors), located adjacent to Hol Chan Marine Reserve with four bedrooms, three baths. 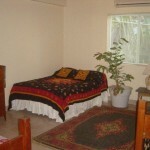 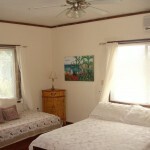 Located on a lovely white sandy beach with a panoramic view of the reef and sea. 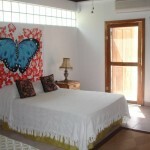 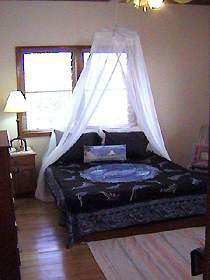 Each bedroom has a queen and a single bed. 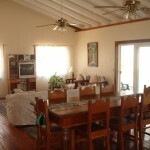 Accommodations include air conditioning, full kitchen, dining area, living room, CD player, DVD player, veranda with a panoramic view of the sea and reef, pier with a palapa where you can swim or relax in the hammocks. 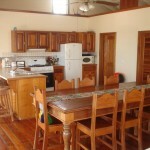 This tranquil home is located far enough to relax and soak up the beauty and close enough to enjoy the sites and restaurants in town. 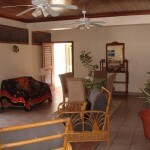 There is easy access to and from town either by bicycle, golf cart, or taxi. We welcome singles, couples, families, groups of friends, children of all ages, and wedding parties. 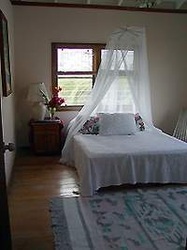 Casa de Lisa is located 3.5 miles south of San Pedro Town. 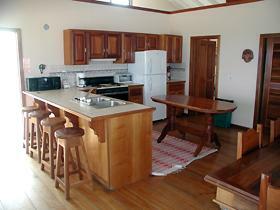 This private home has 5 bedrooms, 3 bathrooms, and a spacious kitchen and living area. 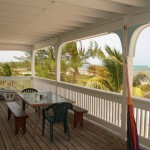 This two story home is located right on the beach and offers a beautiful view of the ocean and reef. 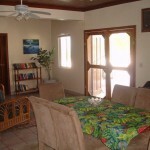 The house is accessible by taxi, bicycle, or golf cart. 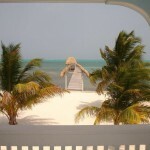 The house has a dock with a palapa on the end for your relaxation. 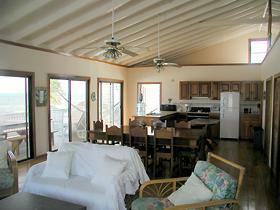 This beach house has five bedrooms, three baths, a spacious kitchen, living and dining room areas. 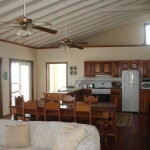 Has ceiling fans throughout, air conditioning, DVD player, CD player, telephone, large veranda, and a pier where you can swim, snorkel, fish, sunbathe, or relax in the hammocks under a palapa. 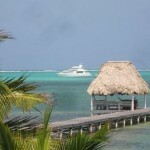 All tour boats will pick you up and drop you off right at the end of the pier.